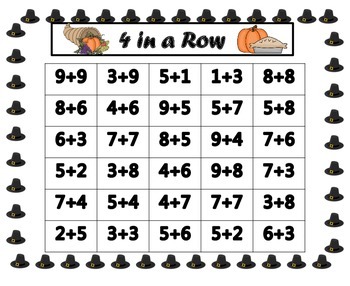 My students really enjoy playing 4 in a Row. They get excited when I put it out at my math center. Each player will need 10 chips or cubes (each own color). 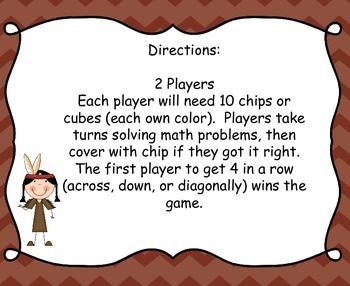 Players take turns solving math problems, then cover with chip if they got it right. 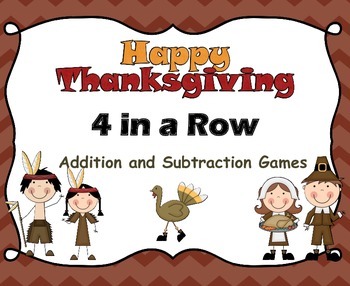 The first player to get 4 in a row (across, down, or diagonally) wins the game.